I am currently in beautiful England for some JWST work, but while I am away, the event of the year is happening at NASA GSFC. 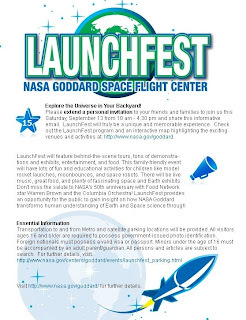 If you are free this weekend... yes, Saturday, September 13... you can visit NASA Goddard Space Flight Center for Launchfest! It is rare that Goddard opens its gates to the general public. There will be booths about our projects, including the James Webb Space Telescope (JWST) as well as entertainment, food, and lots of fun. 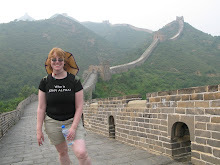 You know that if I was in the country, I would so be there. Below is the flier from NASA. Consider working it into your plans for the weekend and showing our interest for the exploration of the universe.